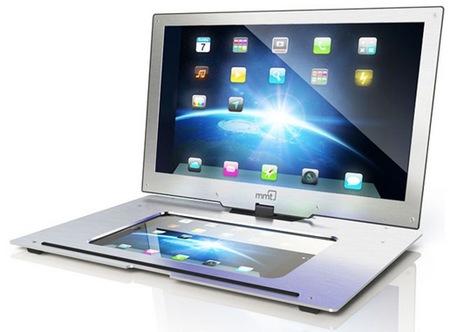 Mobile Monitor Technologies (MMT) introduces its Monitor2Go series of mobile secondary displays. 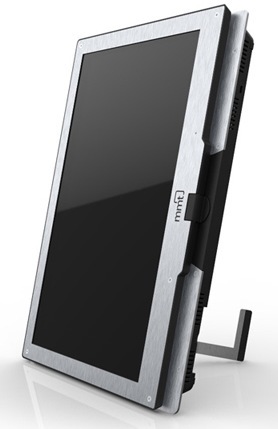 Com in 15.6-inch screen size, the Monitor2Go has 1366×768 resolution and the Monitor2Go HD+ offers 1600×900 resolution. 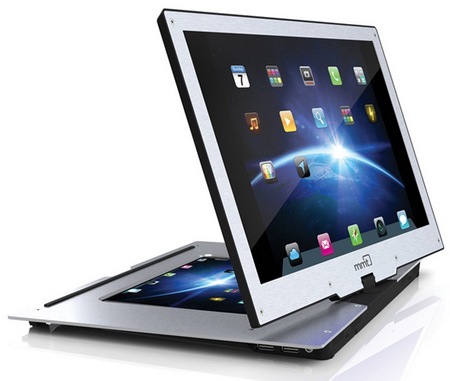 They use rubberized ABS for top and PCB housing and features brushed aluminum for the base and screen bezel. 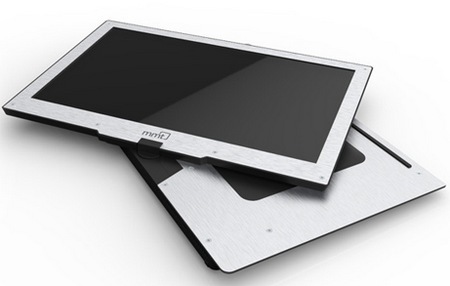 Designed with iPad in mind, the Monitor2Go has a slot for iPad 2 and iPad 3 for sharing content on the iPad to a bigger 15.6-inch screen. 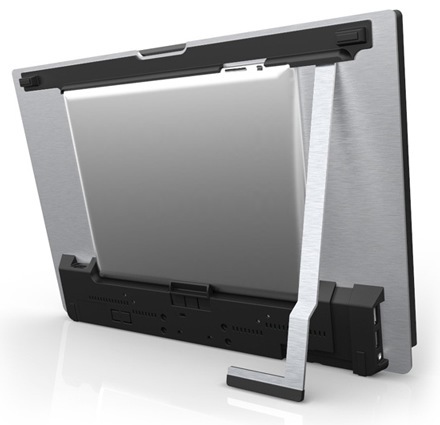 You can also fold the display to protect and lock the iPad during transport. The screen can rotate and pivot 180-degree, allowing users to use it in landscape or portrait mode. 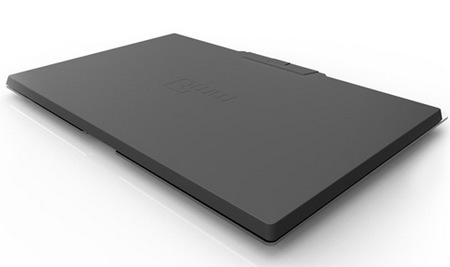 Not only serves as a secondary display for the iPad 2/3, the Monitor2Go also offer HDMI and USB with DisplayLink support for use with your computer or HDMi-compatible devices. 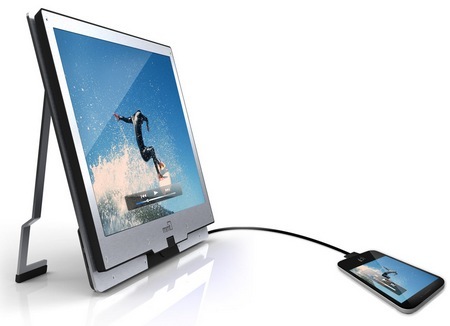 With DisplayLink, you can connect the Monitor2Go to Mac or Windows notebook via USB for extending or mirroring the screen, and daisy chain up to 6 Monitor2Go displays. 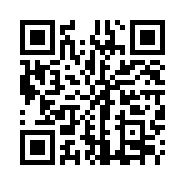 It also works with HDMI devices, including smartphones, tablets, DVD/Blu-ray player as well as iPhone, iPod touch and iPad (via HDMI adapter). 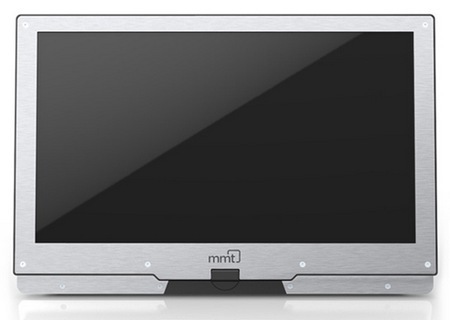 MMT’s Monitor2Go is priced at $299 and you can add $30 more to get the Monitor2Go HD+.